if there's one designer that knows how to make a color palette flow throughout a beach house, it's Phoebe Howard. in this beach house, Phoebe used blue as her main color throughout the house and brought it an accent color in each room. this makes the house consistent but also gives each room it's own identity. 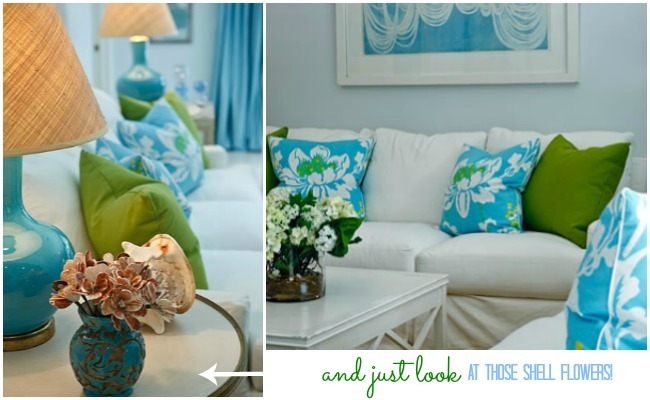 i really love that she always makes the living room bold, like she did here with the vibrant blue and green.